There is one ingredient in nearly every kitchen cupboard capable of doing wonders for your hair, skin, and body. This inexpensive, multipurpose item goes by the name of baking soda, and you don’t need to be a culinary expert for it to ring a bell. Baking soda is sodium bicarbonate, a natural substance that is crystalline but often appears as a fine powder. This alkaline substance has antibacterial, antifungal, antiseptic, and anti-inflammatory properties. Traditionally used as a leavening agent for dough, cake, and cookies, baking soda works by releasing carbon dioxide bubbles that cause the batter to rise. If you think that the use of baking soda is limited to baking alone, think again. It is also recognized as a powerful medical tool effective at combating everything from colds to oral problems to skin issues. You cannot also undermine the multiple beauty applications of baking soda. The versatility of this product is such that this simple ingredient alone packs quite a punch when it comes to head-to-toe grooming. Baking soda is effective when used for short periods. 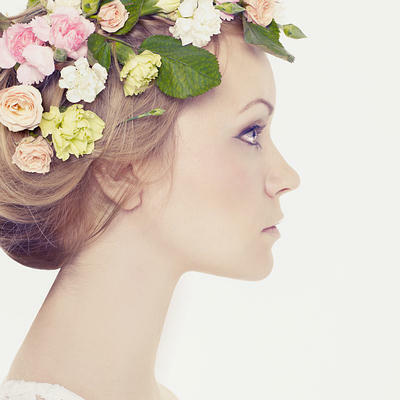 Excessive use can damage your skin and hair. Also, you should do a patch test to determine whether your skin is sensitive to it. People with high blood pressure can also bear the unhealthy consequences of its high sodium content and are advised to consult with their doctor about the safety and suitability of consuming baking soda medicinally. A lot of people fail to tell the difference between baking soda and baking powder. While both ingredients work equally well for increasing the volume and lightening the texture of baked goodies, they cannot be used interchangeably when it comes to skin and beauty purposes. Only baking soda works in this regard, and therefore you must ensure that you have the right product before you get down to business. Baking soda is essentially a component of baking powder, which also contains a dry acid. Moreover, baking powder usually expires within 3-12 months; baking soda can last you a lifetime without going bad. Baking soda is excellent in making your pearly whites shine. It works as a mild abrasive to remove yellow stains from your teeth. In addition, it helps remove plaque by neutralizing acids produced by bacteria. Simply put a little baking soda on your toothbrush along with your regular toothpaste. Brush your teeth as usual for 2 minutes. Do this once daily for a few days. Alternatively, prepare a homemade teeth whitener with 4 tablespoons of turmeric root powder, 2 teaspoons of baking soda, and 3 tablespoons of extra-virgin coconut oil. Mix all the ingredients thoroughly. Use a small amount of this paste to brush your teeth once daily for a few days. There are a few problems to keep in mind when using baking soda. Applying baking soda to your teeth over an extended period time can erode away your teeth’s natural protective enamel. Mixing baking soda with an acid for a DIY tooth whitener can prove extremely corrosive for your teeth’s protective covering. During the summer, keep a box of baking soda handy. Due to its alkaline nature, baking soda has a soothing effect on sunburned skin, which helps relieve the itching and burning sensations. It also has mild antiseptic and drying properties that help dry out sunburn blisters quickly. Mix 1 to 2 tablespoons of baking soda in 1 cup of cold water. Soak a clean washcloth in this solution, wring out the excess water, and apply the washcloth as a cool compress on the affected area for 5 to 10 minutes. Repeat this two or three times a day until you get relief. Alternatively, add a ½ cup of baking soda to a bathtub filled with water. Stir well and soak yourself in this water for 10 to 15 minutes. After getting out of the bath, pat your skin dry or allow your body to air-dry. Do this once daily for a few days. Uneven skin tone is a major problem for many. If it’s a brighter and more uniform complexion that you aspire, baking soda is an easy and inexpensive solution. It is a good exfoliating agent that helps remove dead cells. In addition, it balances the pH level of the skin, which is very important in maintaining even and clear skin. Mix 1 to 2 teaspoons of baking soda with enough filtered water or rose water to make a paste. Apply the paste on your face. Allow it to sit for 1 minute, and then gently rub it off using only the tips of your fingers. Finally, wash your face with lukewarm water and pat your skin dry to reveal brighter skin. Follow this remedy one or two times a week only. Make sure to moisturize your skin after using baking soda. Alternatively, mix 1 tablespoon each of baking soda and fresh lemon juice along with 4 or 5 drops of extra-virgin olive oil. Apply this paste on your face. Leave it on for 5 minutes, and then rinse it off with cold water. Repeat this two or three times a week. Caution: Given that baking soda may not sit well with certain skin types, it is necessary that you carry out a patch test on your arm first. Baking soda works as a neutralizing agent for the treatment of acid reflux. This digestive condition is characterized by a backwash of stomach acid into the food pipe. As the corrosive acid comes in contact with the esophageal lining, it is likely to cause heartburn, a burning feeling that can occur anywhere between the abdomen and throat. Given that baking soda inherently has an alkaline pH, it works as a quick-acting and highly absorbable antacid to counter the excess stomach acid. In fact, sodium bicarbonate, which is the active ingredient in baking soda, is naturally secreted by the pancreas to protect the intestines. Thus, the medicinal administration of baking soda only mimics and supports the action of the natural sodium bicarbonate produced within the body. However, one must bear in mind that this natural antacid only provides temporary relief from the symptoms of acid reflux and other stomach-related issues. Prolonged use of this remedy can render your body’s internal environment too alkaline. Also, the sudden dip in acidity can trigger an acid rebound, causing your symptoms to become worse than before. Occasionally, drinking a baking soda solution to counter stomach acidity can trigger overproduction of digestive gas, which will only aggravate your GI symptoms. More rarely, taking this kind of natural antacid after a large meal may lead to a stomach rupture. Due to the above-listed countereffects, the National Capital Poison Center recommends sticking to safer products such as Tums for addressing acidity problems. Note: Children below the age of 6 should not be given baking soda medicinally unless prescribed by a doctor. Well-functioning kidneys are vital to your overall health, given that these bean-shaped organs perform a number of essential bodily functions such as removing toxins and waste from the blood. The kidneys also promote healthy hormone production and work with other organs 24/7 to regulate blood pressure, increase red blood cell production, and synthesize vitamin D. Suffices to say that kidneys are among the most hard-working organs of the body. Given the mounting toxic load prevalent in today’s times, your kidneys often succumb under the pressure and give way to renal dysfunction and disease. A study demonstrates that bicarbonate supplementation can dramatically slow the decline of renal function in stage 4 chronic kidney disease. Because metabolic acidosis (low blood bicarbonate/high blood acidity) is a common by-product of advanced renal disease, baking soda was also found to increase bicarbonate levels to restore normal blood pH. Experts propose taking a teaspoon of baking soda dissolved in a cup of water daily. Not only will this help regulate your body’s pH level and improve your hormone balance, but drinking this solution is also a cheap and easy way to enhance nutrient absorption and blood quality-all of which can help your kidneys stay healthy. Caution: Given that sodium is one of its major components, consuming excessive amounts of baking soda can lead to a sodium overload in the body, resulting in vomiting, diarrhea, and graver issues such as seizures and renal problems. Your feet have to carry the brunt of your entire body, day in and day out, yet these overworked parts of the body are often the most neglected when it comes to self-care. Being your point of contact to the ground, your feet tend to pick up a lot of grime over time. To keep your feet in top shape, it is essential that you treat them to some much-needed TLC from time to time. To that end, baking soda figures as a cost-effective, gentle, and a natural exfoliating agent that can be used on your feet every day. Whip up an invigorating foot soak by adding 3 tablespoons of baking soda to a tub of warm water. Stir thoroughly and dip your feet in the tub for at least 10 minutes. The baking soda will work to soften the immersed skin over this period. Thereafter, wash your feet and scrub off the residual dirt and dead skin with a pumice stone. 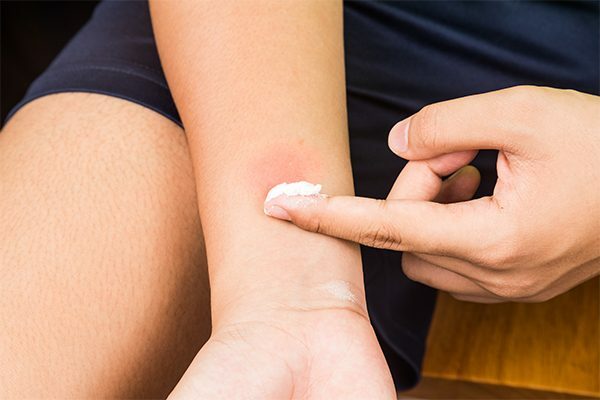 Skin rashes and itchiness can cause a lot of discomforts. You can treat these problems with baking soda. It has a soothing effect on the skin due to its anti-inflammatory properties that also help reduce inflammation, itching, and swelling. For localized itching, mix 1 part water with 3 parts baking soda. Apply the paste on the affected area. Allow it to sit for a couple of minutes, and then rinse it off with cool water. Use this treatment once daily until the condition improves. Nail fungus can make your nails look ugly and cause many discomforts. It is an infection that occurs when fungi start growing under the nails. This results in crusty, thick, discolored, and distorted nails. The alkaline nature of baking soda prevents the growth of fungi. Mix 2 tablespoons of baking soda in 1 cup of raw, unfiltered apple cider vinegar. Soak the affected toenails or fingernails in this solution for 5 minutes. Pat your nails dry with paper towels. Do this twice a day. Alternatively, make a paste of 1 to 2 teaspoons of baking soda mixed with warm water. Apply it on your affected nails for a few minutes, and then rinse it off with warm water. Repeat once daily. If any particular area of the skin is subjected to prolonged friction and pressure, it tends to develop calluses. The continued irritation causes the skin to toughen up and acquire a thick, hardened, and rough exterior to prevent rupturing. The typical problem sites include the feet, palms, and fingertips. Although largely not serious, a callus can be painful especially when pressure is applied to it. Depending upon the location of the callus, something as simple as walking can aggravate the discomfort. If not tended to properly, the affected site may even get ulcerated or infected. 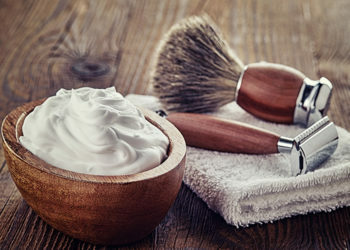 Considering that baking soda is composed of tiny crystals, it works as a mild abrasive agent that gently sloughs off the hardened layers of the skin. This claim was further corroborated by evidence-based studies. It was found that soaking your callus-ridden area in a baking soda bath may help soften the hardened skin, remove any scales, and alleviate discomfort. 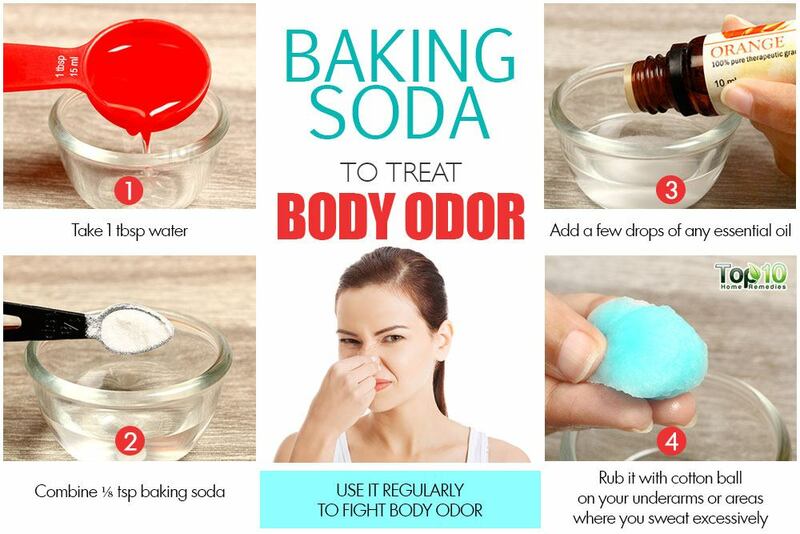 Baking soda is one of the best natural deodorizers that help treat mild to severe body odor. It helps absorb moisture and sweat from the skin, thereby reducing body odor. Being an antibacterial agent, it also helps kill bacteria that give rise to body odor. Combine ⅛ teaspoon of baking soda, 1 tablespoon of water, and a few drops of any essential oil. Use a cotton ball to rub the mixture on your underarms or areas where you sweat excessively. Use it regularly to fight body odor. Alternatively, thoroughly mix equal amounts of baking soda and cornstarch. Dust this powder onto your dry underarms to prevent sweating and bad odor. Caution: A precautionary patch test is recommended for anyone considering the topical application of baking soda. Although it is inherently harmless, the sodium bicarbonate in baking soda might prove harsh for certain skin types. Thus, if your skin happens to be sensitive, test out this remedy on a small patch of arm skin first. Mix 1 a part of baking soda with 3 parts of water. Apply the mixture on your damp hair, wait for 5 minutes, and then rinse your hair. Repeat this once or twice a month. Follow with apple cider vinegar. Once your hair is clean, you need to return your scalp pH to its normal pH of 4-5. Otherwise, your hair will dry out and be frizzy. Wash your hair with diluted apple cider vinegar. This treatment is simple and quick and smooths and softens your hair! You can also use baking soda as a dry shampoo. Thoroughly mix equal amounts of baking soda and cornstarch. Sprinkle a small amount at the roots of your hair and tousle your hair around. Brush your hair thoroughly with a good-quality brush and you will be impressed with the result. Caution: While baking soda may help to remove excess oil, it is probably not the best choice for most people. Baking soda has a pH of 9, which is far higher than that of the scalp. Over time, baking soda can strip the natural oil from the hair, leading to breakage, and can make the hair fragile. To get rid of acne or pimples, you do not need harsh chemicals. Baking soda will do the work easily. The antiseptic and anti-inflammatory properties of this kitchen staple help treat the cause and reduce the symptoms of acne breakouts. In addition, it helps balance the skin’s pH, which helps reduce the occurrence of acne breakouts. Apply this paste on the affected skin for 1 to 2 minutes. Repeat this once daily for 2 or 3 days, and then reduce the frequency to one or two times a week. Caution: Before using baking soda for acne or pimples, it’s recommended to try a patch test first on your arms or neck for any side effects. 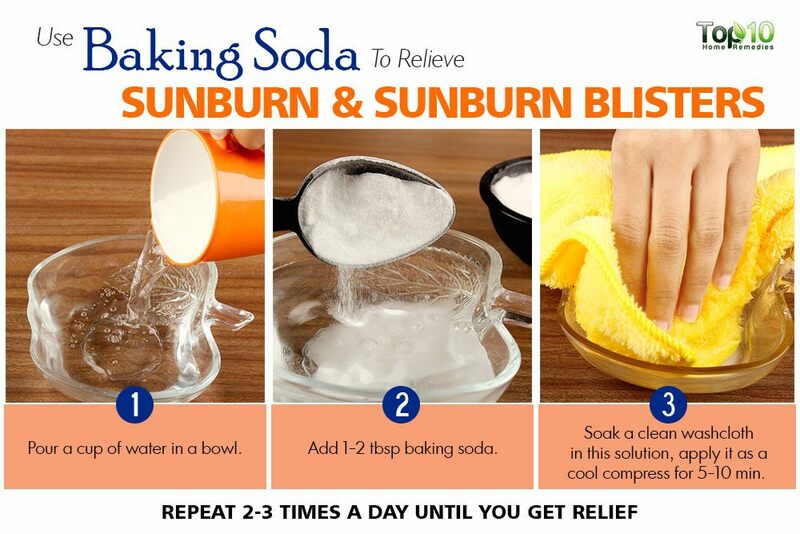 Topical application of baking soda on broken or ruptured skin is strictly ill-advised. Full Report (All Nutrients): 45358184, BAKING SODA, UPC: 842798102234. USDA Food Composition Databases. https://ndb.nal.usda.gov/ndb/foods/show/45358184. Published April 2018. Kleber CJ, Putt MS, Nelson BJ. In vitro tooth whitening by a sodium bicarbonate/peroxide dentifrice. The Journal of clinical dentistry. https://www.ncbi.nlm.nih.gov/pubmed/9835828. Quandt SA, Sandberg JC, Grzywacz JG. Home Remedy Use Among African American and White Older Adults. Journal of the National Medical Association. https://www.ncbi.nlm.nih.gov/pmc/articles/PMC4631220/. Published June 2015. Booth BE, Gates J, Morris Jr. Grocery store baking soda. A source of sodium bicarbonate in the management of chronic metabolic acidosis. Clinical Pediatrics. https://www.ncbi.nlm.nih.gov/pubmed/6319065. Jeong J, Kwon SK, Kim H- Y. Effect of Bicarbonate Supplementation on Renal Function and Nutritional Indices in Predialysis Advanced Chronic Kidney Disease. Electrolytes & blood pressure. https://www.ncbi.nlm.nih.gov/pmc/articles/PMC4297707/. Published December 31, 2014. Quandt SA, Sandberg JC, Grzywacz JG. Home Remedy Use Among African American and White Older Adults. Journal of the National Medical Association. https://www.ncbi.nlm.nih.gov/pmc/articles/PMC4631220/. Published November 3, 2015. Falco MB. Hereditary Palmoplantar Keratodermas. JDDG: Journal der DeutschenDermatologischenGesellschaft. https://onlinelibrary.wiley.com/doi/full/10.1111/j.1610-0387.2009.07058.x. Published April 1, 2009. Lamb JH. Sodium Bicarbonate: An Excellent Deodorant. Journal of Investigative Dermatology. https://www.sciencedirect.com/science/article/pii/S0022202X15500791. Published January 7, 2016. It is very nice forskin,hair and body. Thanks for sharing too much useful information. Is baking soda and baking powder difference???? Can i use baking powder ?????? Thank you its really work…. thank you for sharing these very helpful tips..??? Thank u for d wonderful post. U guys are da best.! Thanks so much for opening my eyes. I usually follow all the home remedies dat r all useful. ..
I’ll put these tips to good use. Fantastic tips, use baking soda it’s marvellous. Great for balancing ph levels, stops bacteria engaging. Love the tips, thank you. Imma try it 🙂 letchu know later how it works…. Even at the petrol station. A sachet is less than R2.00. Thanks for this information but can you give us more information about it. yet to try….how about cracks at the back of my feet heels ,can baking soda help? Does milk help reduce redness and heal skin as well.. Awesome tips thank you! Tried it on my hair, loved the results!! Please where can I get this baking soda some buy….. Very easy on the body. Great as a detox agent and great for health and dirt cheap too. I’ve tried it and it’s amazing. My hair was silky smooth and easy to manage. 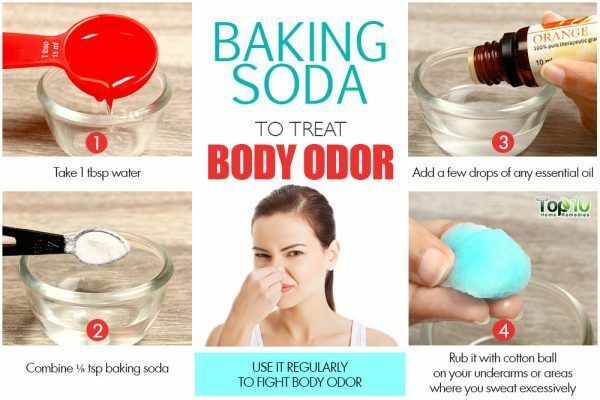 I’ll continue using baking soda for sure. Much cheaper and gives my hair a deep clean especially removing excess hair products which normal shampoos weren’t able to do. Love it! !